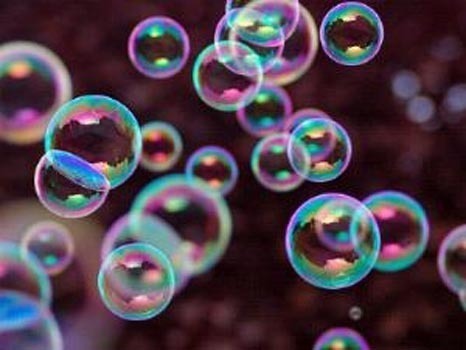 For too long I have let the idea be foisted on me that thoughtfulness or philosophy is something unworldly, a sort of noncommittal blowing bubbles. Only the quantity and speed of delivered action would testify of maturity. But this is not true, I know now. Of course, unworldly philosophers exist. But it is only in respect of their playing field that they differ from the financial whizkids who saddled us with billions of debt. Or from busy executives who hardly can be said to live normal lifes. Those bankers and managers easily measure up to unworldly philosophers, when it comes to unworldliness. Yet common perception tends to assign to groups such as bankers and managers more effectiveness than to the group of philosophers. That has to do with the mixing up in common language of the word ‘action’, however unfocused it may be, with effectiveness. And that is no longer sustainable. Because we may perhaps perish in the amount of thoughtless action. To this area apparently applies that things are not always what they seem to be. Words and their meanings are not always adequate to reality. In particular, the words 'effective' and 'unworldly' are ripe to be detached from their usual associations. Perhaps we knew that already for some time, but the new thing is that even within management it has become more difficult to maintain the old dichotomy in common language. What I note, for example, is that good managers are dealing nowadays with something philosophical like semantics. The use of ICT is forcing them to be very precise in the meaning of words, or at least to be able to value that kind of exactness. Because if you neglect that, any logistics and control system that you order to be build will make the confusion still bigger than it already was. So, deliberate reflection in this area is clearly more effective than display of decisiveness. The same applies to reflection by managers about what it means for their employees to work in an organization. This kind of reflection appears to pay off in the sense that people often respond well to it and perform and innovate better. So these reflexive managers are simply more effective. Therefore, what makes a person unworldly or not is not attributable any longer to the difference between action and lack of action, decisiveness and shyness. Rather it is the difference between meaningful action and senseless action. Maybe it's the difference between Obama, who knows to await his time, and Sarkozy. The latter thought himself to be rather resolute when by presidential decree he prohibited French aid airplanes to take off from Haïti’s airport when they were not completely loaded with victims of the earthquake. The airport got completely blocked up. So, who is blowing bubbles after all?